Volunteer stewards and restoration team leaders play an important part in caring for the land, fostering engagement, and working with others. The Arboretum is offering training opportunities to join these essential corps of volunteers. Stewards patrol trails four hours a month. They keep Arboretum lands safe and clean, track phenological sightings, and interact with visitors. NOTE: Team Leader Training will be postponed due to a winter injury that has temporarily sidelined the program manager. If you’re interested in the training and want to be notified when it is rescheduled, please email marian.farrior@wisc.edu. 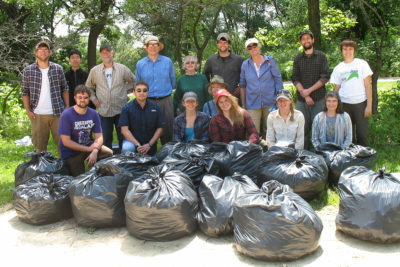 Restoration Team Leaders supervise other volunteers at restoration work parties, making significant contributions to Arboretum land management.